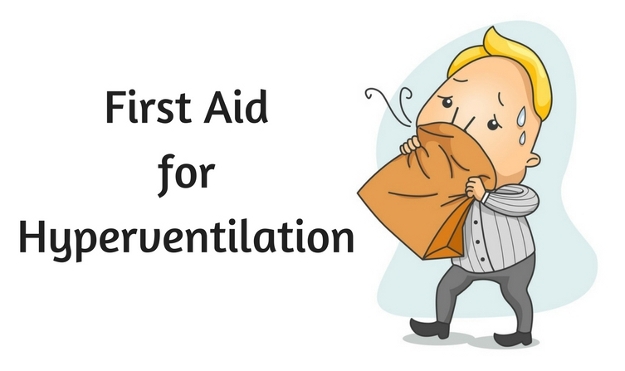 First Aid for Hyperventilation - GoodGuysBlog.com - New, Technology, Marketing, Health and So on. Normally we breath 15-18 time in a minute, except during yoga or exercise when our rate of breathing and deepness both increase to a certain level. Apart from that when we are not putting any extra effort to fasten and deepen our exhaling-inhaling process and still it goes too high and deep. This is the moment when you are hyperventilating. We can't limit our perception to a single reason for it, there are so many reasons which can lead to this situation, it could be a pre symptom of heart stroke, or for that matter any other reason such as fungal infection in lungs, injury or clotting to lungs which restrict the path of oxygen to body. Carbon dioxide imparts very crucial role in human body, during hyperventilation we exhale a lot of co2, which leads to imbalanced blood Ph level as co2 with water form buffer solution which maintain blood Ph level to 7.4, muscle twitch as muscle contraction and dilation process needs carbon dioxide, low co2 level in blood decrease the capacity of oxygen molecules to dissociate from hemoglobin (hemoglobin acts as a carrier of four oxygen molecules to cells)and cells don't get enough oxygen to oxidize the food in order to release energy. So if level of co2 decreases in body it can affect so many physiological processes, in order to minimise that effect we can make efforts to restore co2 level by providing an atmosphere with concentrated co2, like asking person to cover his head with quilt, so that exhaled co2 will be inhaled again. Suggestions of Doctor is very important in such critical situation as said earlier there could be many reasons for hyperventilating, search for urgent care near me and without wasting any time rush the patient to hospital. Low level of co2 restrict transport of oxygen up to body cells and therefore oxidation of food does not occur, resulting no release of energy, in such situation patient must be feeling weak, lower in energy and anxiety. Try to calm them and create a friendly environment, make them sit on bed and tell that doctor is coming within no time. When person is breathing too fast don't put anything to his mouth by assuming that might it could help him to get over his weakness. Remember there are chances that this food may stuck in his trachea as patient is already sub-conscious, and in such condition you might end up his life because food in trachea will act as obstruction to breath. In case person is wearing tie, shoes, socks, high neck clothes or anything of such sort, remove them as they might be suffocating the patient and put him in discomfort. If problem still persist even after doing all above mentioned, contact Urgent Care Clinic Belleville to get the help of experts.